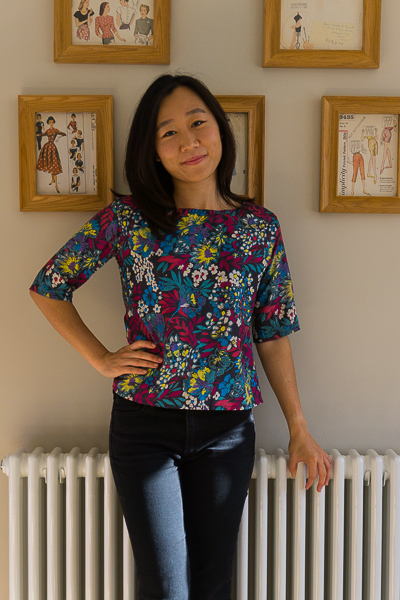 As alluded in this post a few weeks ago, I was very excited to make another top with Simplicity 1366, due to its easy construction and effortless style. Determined to make the second version distinctive from the last, I chose a beautiful piece of floral silk, which had a completely different feel to the polka dot seersucker. 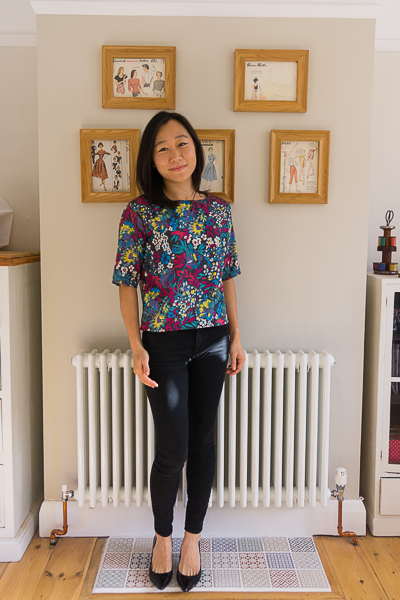 The silk was a remnant piece that I picked up on a trip back to Beijing many years ago; it felt great to finally be able to promote it from my vintage suitcase (where I keep my stash, or more accurately, some of my stash) to my wardrobe. I just adore the print. It reminds me of a cosy cottage garden at the peak of the summer, where everything is in full bloom. Ahhhh... remember those days? 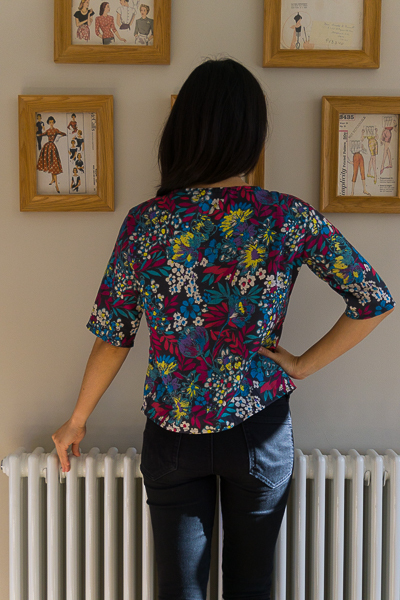 I also loved this fabric for its body; it's not at all drapey, and gives great structure to a little boxy cropped top like this. The whole project was a dream to complete from beginning to end, thanks to the well-behaved fabric, together with an oh-so-simple pattern. 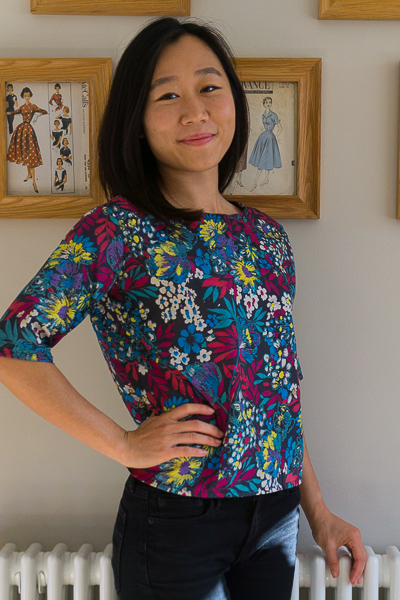 I'll be proudly wearing this in the cooler months, partly to remind me of the summer, and also because the slim sleeves are perfect for going under cardigans. What more could you want from a top?